Simply the best belts you can put in your Miata! Now with both SFI and FIA Rating! With most other belts there are 2 adjusters on the belt. One the adjusts the length behind the seat where it connects to the car, and the other adjuster is the one that adjusts the belt around the driver. With most belts in small cars, that length adjuster mechanism ends up right against the outside of the seat and in an impact that adjuster can get pinned up against the seat and allow the belt to loosen. The second adjustor on most belts ends up down by the drivers hip and can actually hurt the driver in an impact since it is usually located wedged down between the inside of the seat and the drivers hip. This location of the 2nd adjuster also makes it almost impossible for the driver to tighten the lap belts without someone else pulling on the lap belt for them from outside the seat. 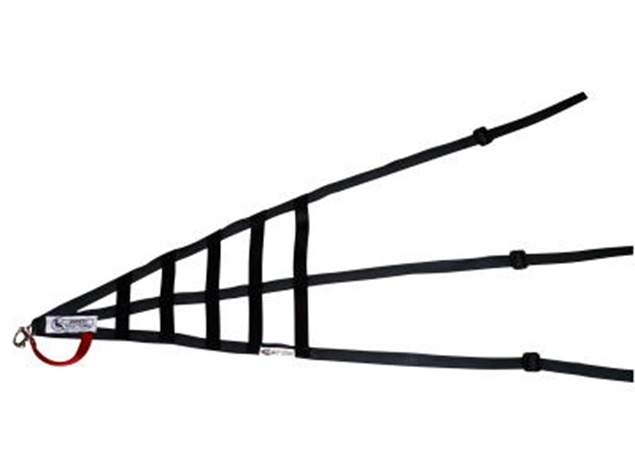 THE MIATACAGE/SAECRAFT SOLUTION - With out SpecMiata specific solution, the lap belts are a fixed length without an adjuster behind the seat, so there is not the potential of the adjuster getting pinned up against the outside of the seat because it does not exist. 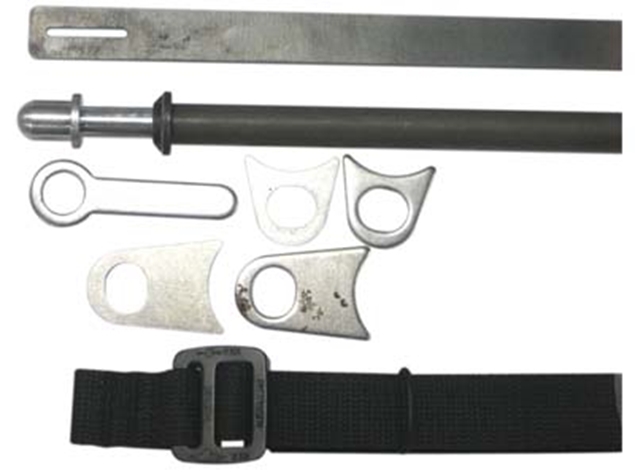 The second adjuster for adjusting the lap belt around the body is built directly into the tang that indexes the camlock. So basically you always have the adjuster directly in front of you as a driver, (not down by your hips where you can't get any leverage to tighten it yourself) where you can get the leverage you need to be able to tighten the lap belts by yourself anytime you want. 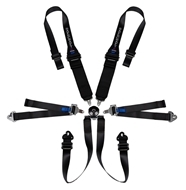 The lap belts are 2" wide, which in the most recent safety studies show that the 2" belts ride better on the hips than the traditional 3" lap belts and stayed in the appropriate place to provide the best protection. The shoulder harnesses are 3" lowers and 2" uppers for use with a HANS device. 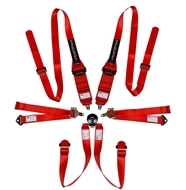 Safecraft now offers their belts in both and SFI rating ($475.00) or FIA rating ($595.00) Now with FIA 5 year Certifification you have choices. SFI rating comes with a 2 year rating and a free re-web after 2 years making the belts good for 4 total years, or the FIA rating which makes the belts good for 5 years. Choose from the drop down list for your desired certification. This is an enduro style belt, so there are loops sewn into each shoulder harness allowing you to connect surgical tubing to pull the belts out of the way for quick driver changes. These are the belts we used in our 25 hour winning endurance Miata.